The province of Ontario has several public transportation companies operating buses, trains, subways and street-cars. With thousands of people using public transit on a daily basis, accidents involving public transit vehicles and injuries sustained on property belonging to these companies are fairly common. Public transit accidents are quite complex, and the claim process can be very confusing with victims not being sure or misinformed of what their rights are when it comes to submitting a successful injury claim. Because public transit injury claims can have several components, as well as unique factors and circumstances, a lot of personal injury firms lack the experience to successfully represent victims that were injured on public transit vehicles or property. Having a successful claim brought against the GO Transit or the TTC requires expertise, experience, and resources, all of which need to be properly utilized in order to obtain compensation for clients. The expert lawyers at BE Personal Injury Lawyer have successfully represented public transit injury victims from all over Ontario and have recovered millions of dollars in compensation for victims and their families. If you or a loved one was injured while using public transit or on operator property, contact BE Personal Injury Lawyer for a free consultation. 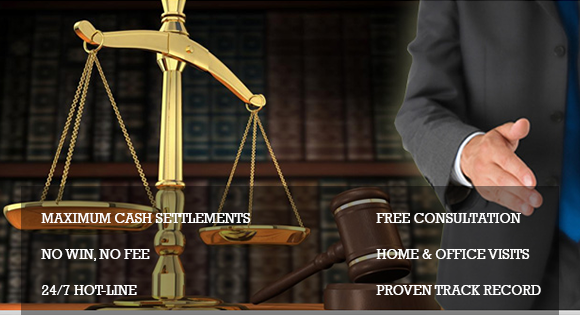 We will ensure that your rights are protected and that you receive all of the benefits and compensation you are entitled to.